The poet Elizabeth Hardwick once said that Castine has a history more convoluted than that of the multi-cultural Danzig Corridor. She had a point. Successively settled by the French, the Dutch and the British, Castine is a town with a remarkable historical and architectural legacy. Sadly, by the 1970s Grindle House was no longer a town treasure. Aluminum siding covered original clapboards and pilasters and the original entrance surround had been destroyed. Fine, 19th-century shutters had been removed, windows replaced and chimneys rebuilt. The interior itself was unfit for habitation – there was just one antiquated bathroom, a coal-fired furnace and exposed electrical wiring. Every rain storm created pools of water in the basement. Miraculously, though, the 1850s interior woodwork, floors, doors, stairs, fireplace mantles, hardware and built-in cabinets had all survived. 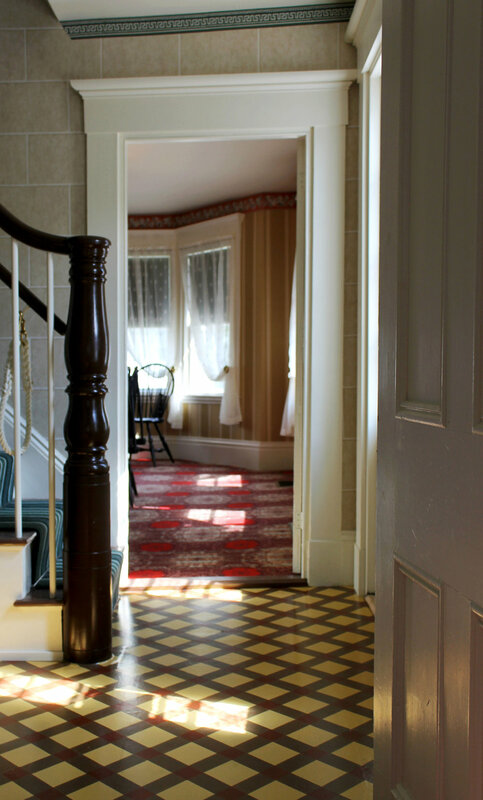 In 2013, the Castine Historical Society acquired the house, thanks to the generous bequest of Deborah Pulliam who was devoted to the cultural life of Castine and Maine and its historic architecture. The society was desperate for new office and archival space, and the Grindle House turned out to be an ideal location. Working from nineteenth-century photographs and physical evidence, the exterior was restored to its 1850s appearance. The building was raised up and a new reinforced concrete foundation poured, then faced with original stone. Chimneys were rebuilt, six-over-six sash windows and shutters installed, and the original front door surround re-created. New electrical, security, and life-safety systems were also added, and the house brought into full compliance with ADA accessibility standards. 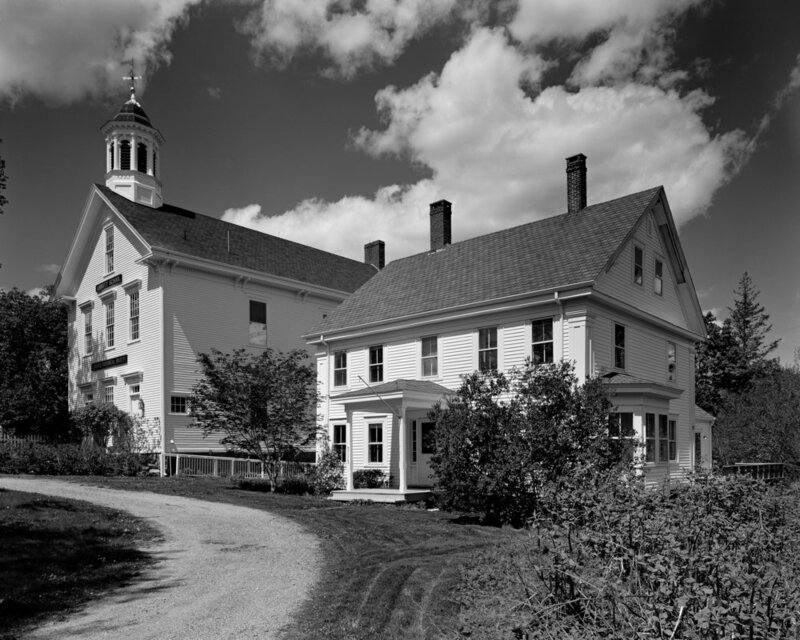 The Grindle House also become home to Castine’s first geothermal heating system. 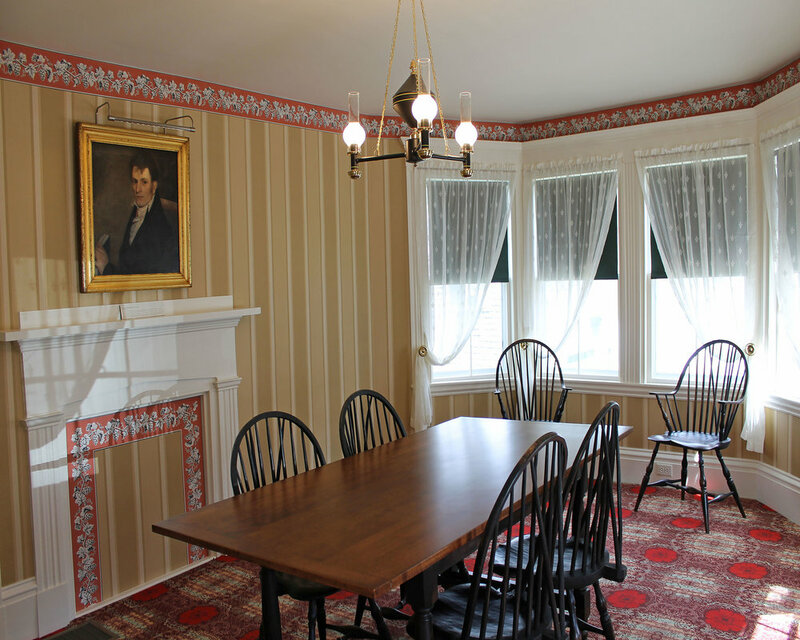 The Grindle House now provides staff offices for the Castine Historical Society as well as a new, state-of-the-art archival facility. The public areas are decorated in 19th-century style with period-inspired wallpapers, carpets, a painted floor cloth and re-created lighting fixtures. The two front parlors and center stair all are decorated following the recommendations of Andrew Jackson Downing who wrote a popular book on the contemporary architecture of the early 19th century. These spaces serve as a gallery with changing exhibits and a comfortable reading room for researchers. Because of the generosity of Deborah Pulliam, the Castine Historical Society has rehabilitated a highly visible building in the heart of this historic community. Additionally, they have created a hi-tech facility for the care and service of an expanding collection, while also assuming responsibility for the Castine Town Records, which are now available to the public for the first time in a secure professional setting.